Item # 315360 Stash Points: 6,995 (?) This is the number of points you get in The Zumiez Stash for purchasing this item. Stash points are redeemable for exclusive rewards only available to Zumiez Stash members. To redeem your points check out the rewards catalog on thestash.zumiez.com. 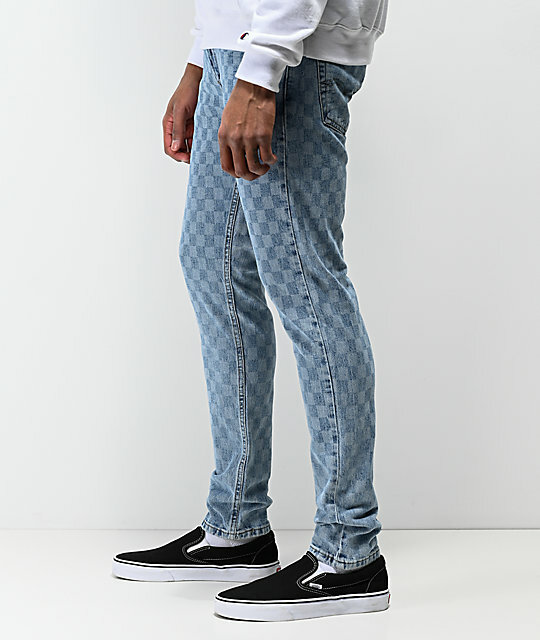 Designed with a modern silhouette, the Levi's 512 Checkered Light Blue Slim Jeans are the bottoms to have this season. 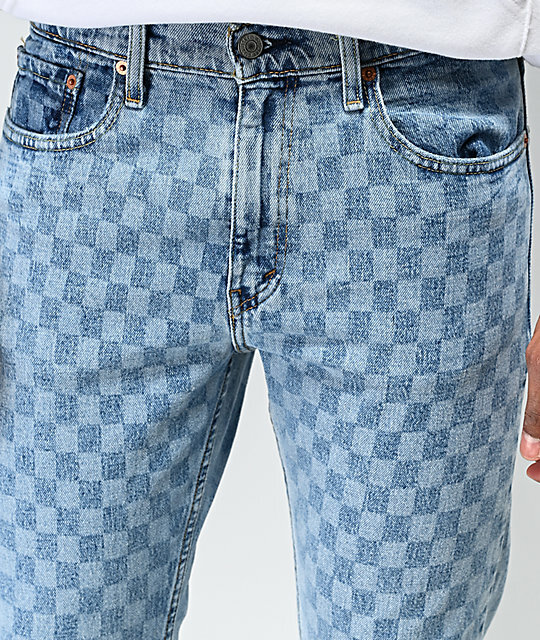 Designed with a faint checkered pattern throughout, these aren't your average denim jeans! 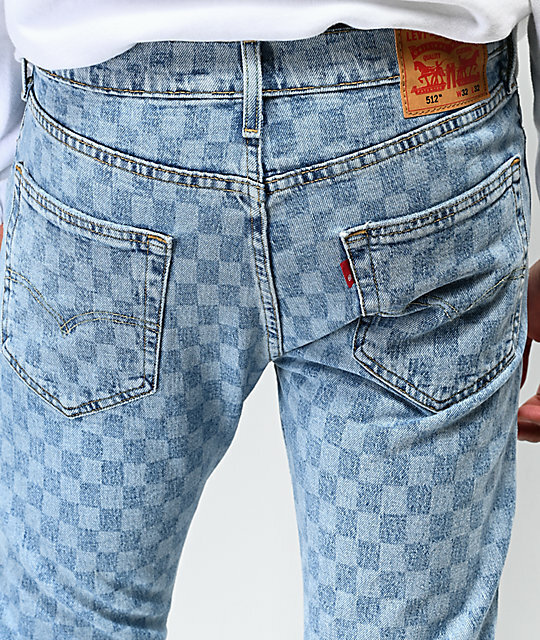 Eclectically stylish and made with a slim, tapered fit, the 512 is perfect for the fashion-forward individual. 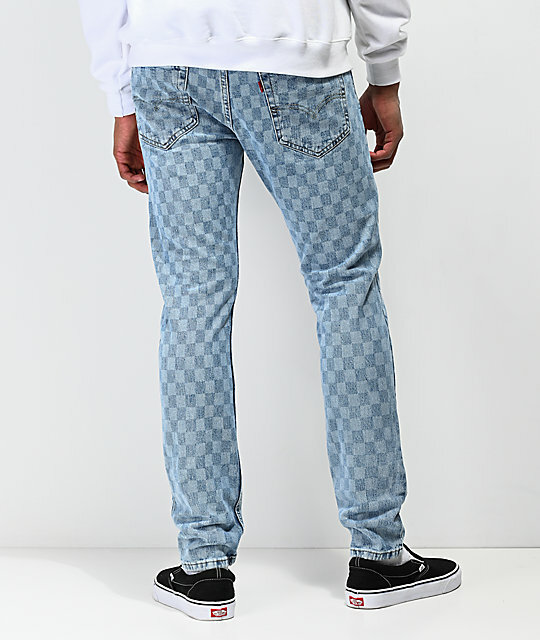 512 Checkered Light Blue Jeans from Levi's. 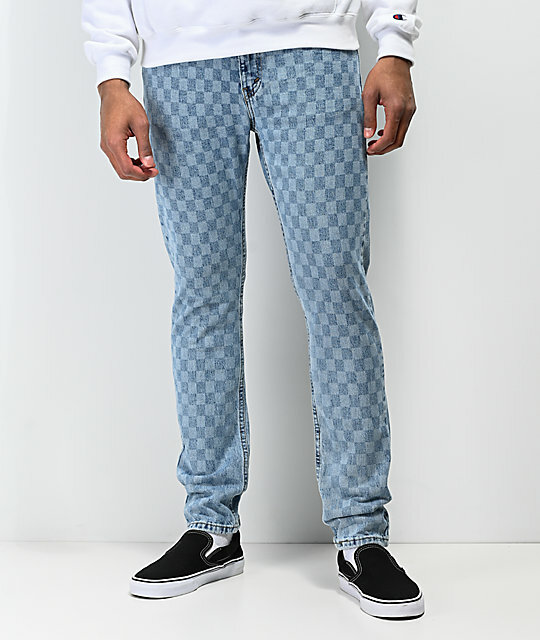 Light blue colorway with faint checkered pattern throughout garment.